Steam added the ability for PC gamers to request refunds for games in June of 2015. It wasn't long after that some smaller developers spoke out against the system, explaining that it disproportionately penalized shorter, smaller games. There was a bit of a furor around that discussion for a bit, but is has since died down. Today, the discussion should burst back open again, as Arkane Studios' Raphael Colantonio has made the bizarre suggestion that PC gamers should use Steam's refund system in lieu of a demo for Prey. Speaking with AusGamers, Colantonio said that the reason that there was no PC demo for Prey was that the studio just didn't have the resources, and that PC gamers could just refund it anyway. "It's just a resource assignment thing. We couldn't do a demo on both the console and on the PC, we had to choose. And besides, PC has Steam. Steam players can just return the game [prior to playing] 2 hours so it's like a demo already." This is more than just short-sighted, it's flat-out wrong. Steam's refund system isn't designed to to be used a demo of a game. The official Steam refund FAQ even says that "Refunds are designed to remove the risk from purchasing titles on Steam-not as a way to get free games. If it appears to us that you are abusing refunds, we may stop offering them to you." However unlikely it may be that requesting a refund for Prey would trigger the loss of the ability to refund, that doesn't change the fact that Colantonio is suggesting that players should abuse the system in order to keep Arkane from having to release a demo of the game on PC. That's tantamount to saying that a car dealer shouldn't let you test drive a new car because your state has a lemon law on the books. Furthermore, using the refund system as a demo means that the gamer is out $60 for the purchase of the game, and reports indicate that it takes roughly a week to get back the money that you spent. Most gamers aren't operating on an endless budget, and tying up $60 to demo a game isn't something most will be willing to do, especially when there's an outside chance that Valve might say no to a refund. Colantonio and Arkane need to realize that PC gamers are worth the effort to create a demo for that platform as well. It's especially galling when, in the same interview, he says that Prey is "a PC game." 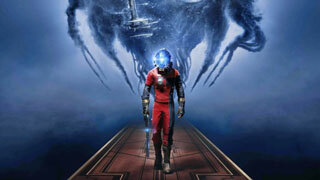 He went on to say that, "We have always developed our games on PC, we're PC developers," and that he was, "pretty confident right now," in the PC version of Prey. If all this is true, then why not have a PC demo? Arkane obviously felt it worthwhile to take the time to port the "PC game" you're working on to consoles for a demo. If Arkane isn't interested in offering a PC demo, it should just say so. There's no requirement that it do so, after all. Passing the buck and trying to force gamers to abuse Steam's refund system isn't doing the developer any favors in the public relations department. There are plenty of games that sell just fine without releasing a demo, but when you release a console demo and not a PC one, you should expect PC gamers to be skeptical of the product you're offering.